There is not a shortage of drink in the cup of bitterness today is their my friend? Perhaps if I was with you or we lived close to one another I could offer you a drink, a comfortable chair and some time to hear your woes, to shake my head at the cruelty of the approaches and insults leveled against you. What insults? The names leveled against you: fool, pharisee, reactionary, protestant, nutter, crazy, loathsome, pharisaic, prideful etc. The exaggerations and caricatures used to distort what you say. The suggestions of either subtle or explicit evil in all of your words. The guilt by association used to discredit you before you even open your mouth. We could perhaps include the titles of rad trad, neo con, and the such like, which, are used like a brush to paint your opinions offering a sloppy and quick condemnation without even hearing or reading you. Please my friend, suffer me not to argue with me that these titles are a just thing, my point is not to argue about the justice of the use of titles, but to point out that titles should not be used to be dismissive to silence and not consider someones words. Charity seems to be preached from all sides, which is good, but there can seem to be a lack of good examples. One side condemns an evil action and the the other side condemns the people who condemned the evil for condemning and then the first party condemns them etc. Or, perhaps in weakness a soul expresses doubt, he is forthwith condemned for faithlessness. A person, perhaps to casually lets off steam, or pleads for the attention when he has been neglected, instead of being comforted he is mocked and ridiculed and held up to scorn. And of course as sins of the tongue and hatred is en-kindled on all sides, charity will be constantly invoked with indignation. It seems that to their guilt, many people are truly blind to the sins of the tongue and judgement. Lord I am blind, I wish to see! I hope that I can offer some practical advice for how to deal with these situations when they occur, to help you suffer, or rather, to suffer together in patience. So let us sit beside our Lord Jesus, mocked with a crown of thorns, abandoned by friends, struck with a reed, jeered at by enemies. We will ask him in his affliction to comfort us who are so weak, who struggle to rejoice when we bear with contempt and insolence of others and teach us His wisdom. We see here a living faith. God is a loving Father that counts every hair on your head, we must not think that when he allows another to injure us with words that he does not know about it. Look at Davids great trust: that God will repay him good for bearing the cursing in patience. God did and Semei that mocked him when David returned had to beg for his life. “Hath thy neighbour wronged and grieved thee, and involved thee in a thousand ills. 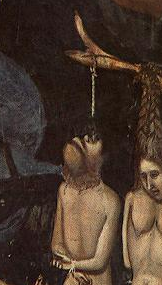 Bet it so, yet do not prosecute vengeance on thine own part, lest thou be treating thy Lord with contempt! Yield the matter to God, and He will dispose of it, much better than thou canst desire.. Never canst thou so avenge thyself, as He is prepared to avenge thee, if thou givest place to Him alone.” St John Chrysostom, The Right Use of Lent, Homilies of the Fathers for Lent Vol 4. We must have faith that God has willed us to suffer the evil, and that he will avenge us and grant us a reward if we bear it with patience. So we are insulted, and that terrible fight within us comes upon us like a beast, to keep our patience to win the crown? How shall we subdue it? And yet our hearts are still troubled: We see that God has willed it, and that we can obtain a great crown through patience, we have recalled the patience of Christ and remembered his passion, but the cruelty of the words cut deep! Wait… Let us consider the cruelty of the remarks. Can we see if perhaps the words were meant to injure, or that the person meant good but failed to deliver? No? Is the person perhaps to be pitied in some way and that in the poor circumstances of the sorrows of there life they just lashed out? I give you these considerations from the Doctor of Charity to continue in our fight. Despite all of these things you still feel overcome and filled with rage. Our suffering is real, what shall we do? I say change the conversation with your own heart: go out to dinner, have a beer, go fishing, look at your favorite picture, hold the evil remarks of others with contempt, look not on the remark, think not on the remark. A weed without water, light or warmth will die, so too will the insolent remarks fade from us if we put them out from our mind. Wounds heal better when they are not licked. The term Novus Ordo is often used by “traditionalist” Catholics as a sort of pejorative, but it is most interesting to note that Paul VI himself referred to his new Mass as the “Novus Ordo”. In light of this fact, I think we can charitably make use of the term as a means of distinction. But is the Novus Ordo a new rite of the Church? From this quote, it seems the question posed is all but answered. And yet, how can Paul VI be correct and Benedict XVI also be correct? Is it a new rite, as Paul VI has said, or is it merely another form of the same rite, as Benedict has said? The two seem to be in contradiction on the matter. Perhaps in order to resolve the conflict we should look more deeply at what a "rite" in fact is. For Catholics in the West, to speak of the Roman Rite and the Latin Church is synonymous. However, it is important to note that in the East, a “church” refers to a particular people who are legally autonomous, and so they refer to a “church sui juris” (of one’s own right). There are multiple churches sui juris that share a common rite. It may be easier to see in terms of genus (rite) and species (church) - Under the genus, “Byzantine”, there are the species of Ukranian, Melkite, Ruthenian, Romanian, etc., all of whom, while sharing a common liturgical patrimony, are in fact legally autonomous from each other. In addition to the churches of the Byzantine Rite, there are also other rites, such as the Alexandrian, Antiochene, or Chaldean rites, and which are composed of various autonomous churches. If we take rite to be used in the Western sense, as defined by the Old Catholic Encyclopedia, we would have to say that Paul VI is entirely correct in calling the Novus Ordo a "new rite" of the Church. From this, can we conclude that Benedict in Summorum Pontificum was simply in error on this distinction - that the Novus and the Vetus should most properly be referred to as two rites, and not one? There are many canon lawyers and Bishops, who, following the Pauline definition of ritus, would say that Benedict was simply not a good canonist, that there are manifold problems surrounding the legislation Summorum Pontificum, and use this in order to prevent its implementation. However, to simply do this is not only incorrect, it is to miss the real genius behind the motu proprio given to us by Benedict. Let's take a closer look. Returning to the definition for the word given in the Eastern Code of Canon Law, we find that in order to refer to something as a rite, we not only have to evaluate the liturgical patrimony, but also the “theological, spiritual and disciplinary heritage, distinguished according to peoples' culture and historical circumstances” in order to make a determination on the issue. In light of the greater qualifications necessary for the constitution of a rite as laid down by the Code, we should perhaps endeavor not to speak equivocally of the word “rite”, and try to harmonize these two different definitions in order to see that, in fact, Paul VI and Benedict XVI are speaking of the same reality, albeit with different things being signified by the word "rite". In harmonizing the two, Benedict gives us a different word, “use”, as the more proper term pertaining to the various liturgies of the West, since he understands "rite" as having a more broad scope. As “particular liturgical usages” of the Roman Rite, the Vetus and the Novus should witness to the same “lex orandi” of the one Roman Rite. This distinction which Benedict is making between the two forms of the Mass has great implications, far beyond the liberation of the traditional missal, although they may not at first be apparent. These implications, I think, lie in the other qualifications of the constitution of a rite (as given in the Eastern Code), and bear greatly on our question, "is the Novus Ordo a new rite of the Church?" Dear friends, I don’t think that I have the space in order to adequately explicate and argue one way or the other for the answer to this question - perhaps we are still too close in history to the Council to be able to judge such a thing. However, please allow me to make a few observations. After the Council, we were given a new liturgy, formed, not organically, but by a committee of “experts”. The substantial difference between the Tridentine Missal and the Missal of the post-Vatican II reform is sufficient enough for nearly all to agree that the Novus Ordo is in fact a formally new, albeit perhaps materially similar, usage of the Roman Rite. But not only were we given a new liturgy, we were also given a new Code of Canon Law, adopting the legal language of modern political theory. Furthermore, the seminaries almost universally dropped St. Thomas from their formation programs in favor of modern philosophy and a “new theology” based upon the foundation of these modern philosophies. In the implementation of all of these changes, an euphoric “spirit” of the Council was adopted as the new path to holiness in the modern world, throwing off the shackles of a “repressive” spirituality obsessed with peoples’ sins and medieval devotions while replacing it with an “all you need is love” sort of spirituality - one which could be summed up by the phrase “who am I to judge” as the modus vivendi for the Church in the modern world. Fifty years after the Council, we are at a critical time in the history of the modern era of the Church. 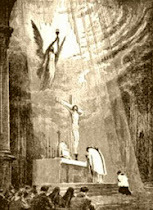 The answer to the question, “Is the Novus Ordo a new rite?”, I fear, is still very much an open one, and while the friction may rear its head most heatedly in the discussion of the Tridentine Mass versus the Mass of Paul VI, we should take care to have greater reference to the theological, spiritual, and disciplinary traditions in order to resolve the question. Benedict saw that, while a new rite could never be created de jure in the Church,  if things did not change dramatically, the West was well on its way to celebrating a new rite de facto. This, I think, is the real mens behind the legislation Summorum Pontificum, and the particular genius of a Pope who, by his taking part in the reforms of the Council saw the dangers that accompany the adoption of a doctrine of progress. It is for this reason that we need Catholics who are not only devoted to the traditional liturgy, but also to the theological tradition accompanying the liturgy - to do anything less is to live a sort of duality within one’s own soul that will ultimately sow utter confusion and discord. Benedict proposes that we must understand these new theologies, liturgies, and disciplines in the light of a hermeneutic of continuity. 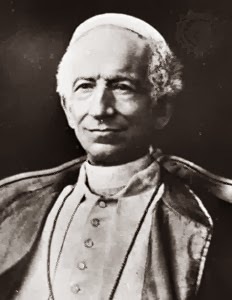 This, of course, is true - it is the only way to maintain the integrity of the one Roman Rite; and with regard to the Mass, it is the only way in which "These two expressions of the Church's Lex orandi will in not any way lead to a division in the Church's 'Lex credendi'". But especially with regard to those things which do not bear the charism of infallibility, perhaps the surest and most direct path to continuity with the patrimony of the Roman Rite that is given to us in the tradition is to be begin to discern which of those branches of the vine have not born the fruit that had been hoped for, and begin the pruning process, so that the whole vine might begin to bear good fruit once again. The particular legislative genius of Summorum Pontificum has not yet been fully realized or appreciated - the recent unprecedented moves on traditional religious orders and academic institutions witnesses to this fact. I think that, in light of the particular reality that the Latin Church has found itself in at the beginning of this new millennium, Pope Benedict has shown us that the only way to stave off the natural schism (a “hermeneutic of rupture”) that occurs from two fundamentally opposed philosophical foundations is to be found in forming an intentional relation, a hermeneutic of continuity, between the Vetus Ordo and the Novus Ordo (and their accompanying theologies) as two forms of one rite. 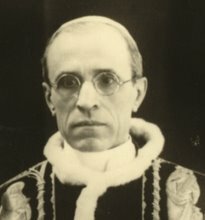 The "auctoritas"  that the usus antiquior possesses will become the anchor for authentic liturgical renewal and reform, and, in turn, since lex credendi follows on lex orandi, the renewal of Catholic theology and life will continue to be enriched - proportionally, I would say - by the regularization of the particular theological and spiritual patrimony of the Vetus Ordo into the life of the Church as a whole. 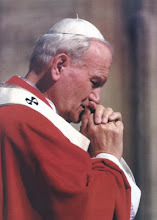 The answer to the original question, “Is the Novus Ordo a new rite?” should be a simple one: “no, of course not!” The means of making this answer true lies in the work ahead, moving forward in faith, hope, and charity, and using the blueprint given to us by Benedict in his theology, his pastoral praxis, and in what will be perhaps the legacy of his pontificate, Summorum Pontificum. [1.] Address of Paul VI at the Consistory for the naming of Cardinals, 24 May 1976. [2.] Summorum Pontificum, a. 1. [4.] Griffin, Patrick. "Rites." The Catholic Encyclopedia. Vol. 13. New York: Robert Appleton Company, 1912. 21 Jan. 2014 <http://www.newadvent.org/cathen/13064b.htm>. [5.] The rites all have their origin in apostolic foundations, and thus, a truly new rite could never legitimately be erected. [6.] 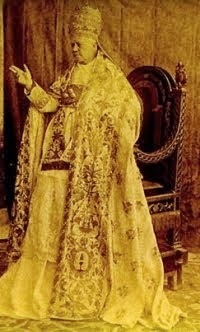 Pope Benedict refers to the “auctoritas” possessed by the Vetus Ordo when he says “What was sacred for prior generations, remains sacred and great for us as well, and cannot be suddenly prohibited altogether or even judged harmful.” The question of what “auctoritas” the Novus Ordo might possess could be a fruitful subject for future reflection. And you are willing to link this blog or website on your own blog roll. Then please post your name and a link to your blog in the combox for this post (I will not make it public), as well as an email where I can follow up with you. I will check it out and link it up if it passes muster. In case you despise the power of cross-linking, it was just such a link that put this blog on the map. Back in 2007, this blog was only getting like 20 hits per week; then Ryan Grant from Athanasius Contra Mundum linked it up on his site and I think the traffic tripled in less than a month (this is the post that caught Ryan's attention). Then a link to this story on NCYC from Fr. Zuhlsdorf in 2007 probably quadrupled the readership again. Then, sometime in 2008, Rorate Caeli put this blog on their blog roll and that really did the trick. Since I first started tracking analytics in January 2011, Rorate Caeli's link on their blog roll has sent 11,354 users to this site and is responsible for 29.7% of all my referrals, for which I am very grateful. Thus every great leap in this blog's readership has been associated with being linked up on the blog roll of some other site. Today, the Unam Sanctam blog and site are viewed an average 24,450 times per month. Deo gratias. Since this blog was helped in its infancy by generous folks like Ryan Grant, Fr. Z and the guys at Rorate linking it up, I'd like to return the favor to any other excellent Catholic blogs out there. Similarly, if you are already on my blog roll, I will be going through this week and deleting any blogs that have not been updated in the past six months. I should mention, no Sedevacantist sites please. Continuing on in our series on right reading of the Old Testament, we come today to some very practical questions. Having established the first principles that the Old Testament is truly the Word of God, that there is no one interpretive scheme that fits the whole Old Testament, and that assigning a high value to the Old Testament texts was a characteristic of patristic exegesis, we can go on to consider some further questions in our approach to these sacred books. To what degree are Old Testament principles applicable in the New Testament age? Our first query is to what degree Old Testament principles are applicable today, in the New Testament age? 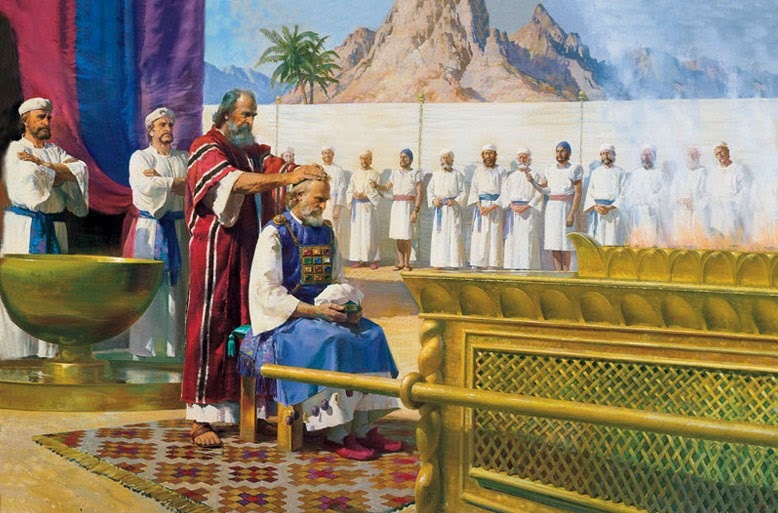 There are many disputes on a range of topics that Old Testament passages can be invoked for. Let us look at some examples of how Old Testament principles may be invoked in contemporary debates. "He who spares the rod hates his son, but he that loves him chastens him earnestly." "O Lord, who may abide in your tent? Who may dwell on your holy hill? Those who walk blamelessly, and do what is right,and speak the truth from their heart; who do not lend money at interest,and do not take a bribe against the innocent." "If I say to the wicked, “You shall surely die,” and you give them no warning, or speak to warn the wicked from their wicked way, in order to save their life, those wicked persons shall die for their iniquity; but their blood I will require at your hand. But if you warn the wicked, and they do not turn from their wickedness, or from their wicked way, they shall die for their iniquity; but you will have saved your life. Again, if the righteous turn from their righteousness and commit iniquity, and I lay a stumbling block before them, they shall die; because you have not warned them, they shall die for their sin, and their righteous deeds that they have done shall not be remembered; but their blood I will require at your hand. If, however, you warn the righteous not to sin, and they do not sin, they shall surely live, because they took warning; and you will have saved your life." It is not our purpose here to answer these particular inquiries, but rather to point out examples of arguments in which Old Testament passages may be relevant. The question then becomes "How relevant are they?" Some do not treat them as relevant at all. Suppose you are in a debate about whether parents ought to use corporal punishment and you cite Prov. 13:24 in support of the proposition. Now suppose your interlocutor says, "I hardly think we can settle the argument by quoting a passage from Proverbs." The interlocutor clearly has a dismissive attitude towards the contemporary relevance of Old Testament texts. It is true that, in many parts of the Old Testament, doctrine is not strictly established. This is because of the provisional and incomplete nature of Old Testament revelation itself. We cannot build a complete doctrine of God from the Old Testament alone, since there is no revelation of the Incarnation or the Trinity. But the fact that the Old Testament is provisional or that certain doctrines are shadowy or incomplete does not mean that no doctrinal or ethical conclusions can be drawn from it at all. Sure, there is no revelation of the Trinity in the Old Testament, but there are very clear affirmations of God's omnipresence, omniscience and omnipotence. In fact, if I had to argue those attributes of God from the Bible, I would take the text of Psalm 139 as my starting point. The whole truth might not be affirmed, but what is affirmed is certainly true. Thus, the Old Testament is very valuable for serving as a foundation or jumping off point for particular theological discussions. 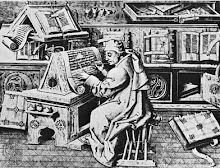 "It is absolutely wrong and forbidden either to narrow inspiration to certain parts only of Sacred Scripture or to admit that the sacred writer has erred... For all the books which the Church receives as Sacred and Canonical are written wholly and entirely, with all their parts, at the dictation of the Holy Ghost" (Providentissimus Deus, 20). Now it often happens that an Old Testament teaching must be completed or clarified in the New, like the laws regarding divorce or polygamy. These are cases of behavior tolerated (but never affirmed) in the Old being specifically proscribed in the New. But if something is positively affirmed in the Old, then how can we argue it is not relevant now, since every book of the Scriptures is inspired "with all their parts"? Thus, if someone says corporal punishment is always wrong, I believe they err, and that they err precisely because Proverbs 13:24 specifically commends it. When Aquinas is formulating the classical Catholic doctrine on usury, he appeals to Exodus 22:25 and Ezekiel 18:17 as his scriptural basis. (STh, II-II, Q. 78). These positions can be established on Old Testament foundations. What we must realize is that while the Old Testament overall is provisional in nature, not every particular Old Testament maxim is provisional; some are universal - "Thou shalt love the Lord thy God with all thy heart, all thy soul and all they strength" (Deut. 6:5), for example. The Old Testament contains many principles that are reflections of natural law or very basic theological truths (the immorality of adultery, the right of parents to discipline children corporally, the omnipotence of God, etc). Because these principles do not cease to be true just because they are found in the Old Testament, they are always valid, and saints and scholars, such as Aquinas, have never balked at citing them not only in support of their arguments, but as the centerpiece of their arguments. Aquinas would have never envisioned an argument in which his teaching on usury was thrown out because it cited the Old Testament. He had a much more unified approach to the Scriptures than we. How to distinguish between the temporary, ceremonial law and the permanent moral law? Our previous answer presumes that we understand that there are some things in the Old Testament which are temporary in nature and others which have permanent validity. How is the Catholic to distinguish between the two? We mentioned above the provisional nature of Old Testament revelation. This means it is fundamentally incomplete; it awaits the New Testament and Christ for its fulfillment. But nevertheless, it still is a real and true revelation, and to say it is incomplete is not to say that things fundamentally change in the New Testament. After all, "Jesus Christ is the same yesterday, today and forever" and God has "no variation or shadow due to change."(Heb. 13:8, Jas. 1:17). This is why Old Testament principles can retain a permanent validity, especially when they touch upon issues of the natural or moral law (For example, Malachi 2:16, '"I hate divorce', says the Lord"). The major exception to this, however, is if we are looking at passages of the Mosaic Law specifically. Too often the Old Testament is equated with the Law, as if the entire Old Testament were nothing but the Law. The Law, however, refers specifically to the ceremonial statutes enjoined upon Israel by God in the time of Moses, as found in the Books of Exodus, Leviticus, Deuteronomy and Numbers. If something, say a particular law or regulation is specifically part of the Levitical Law, we may safely assume it has been superseded by the New Testament. Examples of this are prohibitions on pork, the practice of circumcision, regulations about Temple worship, etc. These have all been superseded because they concern the Levitical law exclusively. Principles that are part of the moral law, natural law, or are teachings on the very nature of God Himself retain a permanent validity, whereas principles that relate exclusively to the Levitical law of ancient Israel are no longer binding. Inability to make this distinction is the source of many errors, for example, the argument that Old Testament condemnations of homosexuality are invalid because the Old Testament also prohibits the eating of shellfish (see here). It sometimes happens, however, that we see a regulation of the Mosaic law encapsulating or affirming a universal moral principle. These situations can be particularly vexing. For example, the passage "Thou shalt not suffer a witch to live" (Ex. 22:18). If someone asks if this passage is still valid, then the answer would be both yes and no. Yes, insofar as God hated witchcraft then and He still hates it now, and it is just as sinful now to participate in witchcraft today as it was then; but no insofar as we are no longer under the Mosaic law, and as such, the particular injunction to put the witch to death as a civil crime is no longer in force. So we see that there are occasions where just because the particular law or regulation has passed away does not mean that the principle is invalid. Ex. 22:18 teaches that witchcraft is not pleasing to God; this has not changed, even if the particular discipline of how it is handled has. Thus, a person would be in grave error if they tried to argue that witchcraft was now pleasing to God based on the fact that we no longer are commanded to put witches to death. We will continue with more on this topic next time. Have you ever had the great grace to read something that stirs up in you great fear enough to intensely exam yourself. Recently I had one of those experiences and it caused in me fear for myself and for everyone who practices their Catholic faith and participates in discussions about it on the internet. I doubt anyone has not noticed the contentious atmosphere, the constant conflict, the impatience and quarrels that have arisen among Catholics on the internet especially in the last week. If you think that this is not a problem look up almost any Catholic thread on: creationism vs theistic evolution, Vat II and its interpretation, SSPX confessions being valid or invalid, the liturgy, etc. I am not going to address any of the controversies but wish to befriend you in the fear of God that you and I can help each other on our way to salvation. Before, dismissing that as hyperbole St John Chrysostom, Doctor and Father of the Church, taught that this was not hyperbole (he gives an in depth explanation in the Homily Danger of Evil Words available here in Volume 2 of the Church Fathers for Lent free to download). St John Chrysostom points out in other places in that homily how insolent words are what causes thoughts of murder, and who has not encountered someone still reveling in some insolent remark perhaps even made years ago? If one of our insolent remarks has caused our brother to lose his soul through rage, then we will be held accountable to it and according to Our Lord it will be the most terrible reckoning. Let us not forget in this age of communication where anyone can blog, post to forums or scan documents to the internet that many people make haphazard remarks that will now never die. These remarks often times are judged from the outside not considering whom it was that the author spoke to and to what audience would read them. So it can also fall of our words and writings and as such it just simply is not enough to be right with what we say, if what we say seems false and wicked. My friends, we need to be on guard moving forward. The world is full of insolence and the demons reveal and roll in the insolence against God like the filthy pigs they are. It will be easy to find bad examples to follow, it will be tempting to let our new found discipline be carried down stream. However, with the guidance of the Holy Ghost and the channels of grace through good spiritual reading like the Holy Scriptures we can have many good examples of the meekness and loving kindness of Our Lord Jesus Christ and His Saints. Please come back next time for an article on what we should do when we are treated with insolence. Pone Domine, custodiam ori meo - Set a watch, O Lord, before my lips, Amen. In 2 Timothy 2:15, the Apostle Paul admonishes Timothy, "Study to shew thyself approved unto God, a workman that need not to be ashamed,rightly dividing the word of truth." To "rightly divide the word of truth" means to approach Divine Revelation prudently and in keeping with the principles of the Gospel, or in modern parlance, "thinking with the mind of the Church" in how one interprets the data of Revelation. In St. Paul's day, this "word of truth" would have primarily been the oral preaching of the Apostles and the Old Testament, which were the only real "Scriptures" in existence in the immediate apostolic period. The man of God thus needs to be able to "rightly divide" the Old Testament as well as the New Testament revelation. How much authority to Old Testament verses retain in contemporary arguments? The inability of most Catholics to satisfactorily answer these questions leads to a hazy vision of the Old Testament - an unfamiliarity with its texts and, even more unfortunate, the relegation of Old Testament passages to the status of mere footnotes in contemporary theological discussion. "Yeah, but that's from the Old Testament. As you know, there's many Old Testament laws no longer in force today." 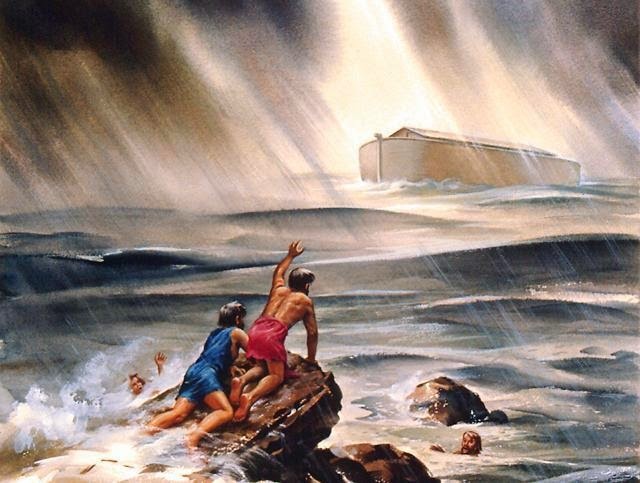 "I hardly think Christians can base their behavior today on stories from the Old Testament." "Yeah, but that was before the coming of Christ. Things are different in the New Covenant." "A lot of Old Testament books are not meant to be taken literally." Basically it comes down to, "You're argument is invalid because it cites the Old Testament as a source." Has anyone else experienced this? It is unfortunate, and it comes from a kind of uncertainty of how the Old Testament is to be approached today. 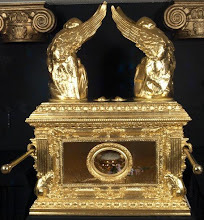 Let us then examine the problem, and come to a consensus, in light of Tradition, of how a Catholic is to "rightly divide" the Old Testament, utilizing it in a manner consistent with Church Tradition. The Old Testament is truly the Word of God. This seems evident, but many do not admit the ramifications of this. If the Old Testament is the Word of God, then every single word of it is divinely inspired. This means every passage, even "difficult" ones, need to be dealt with in some manner and fit into the larger context of Divine Revelation. When we come across a passage we do not understand or which may not seem convenient to our particular argument, it is not sufficient to simply say, "Yeah, but that comes from the Old Testament." The passage in question is part of Divine Revelation and needs to be given equal consideration. Nobody would write off one of Christ's parables by saying, "That's only a parable of Jesus!" Neither should these passages of Scripture be so summarily dismissed. There is no one interpretive scheme that can be applied to the entire Old Testament. Many want the Old Testament to fit into a very simple interpretive category. This would make dealing with challenging texts easy. Unfortunately, there is no one method that can be applied uniformly, other than the Church's four-fold approach - start with the literal, then look for allegory, moral lessons, etc. But just what the literal meaning is can be greatly disputed. Historical books need to be read differently than wisdom literature, and these different from the prophets or the Mosaic Law. Each needs to be examined separately. The fact, for example, that most components of the Mosaic Law have passed away does not mean that the moral teachings of the Book of Proverbs have. 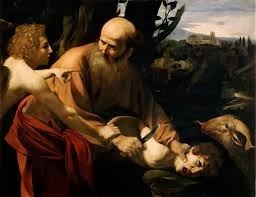 The Fathers make generous use of the Old Testament in establishing their arguments. "The ministers of the grace of God have, by the Holy Spirit, spoken of repentance; and the Lord of all things has himself declared with an oath regarding it, "As I live, says the Lord, I desire not the death of the sinner, but rather his repentance" [Ezk. 33:11]; adding, moreover, this gracious declaration, "Repent, O house of Israel, of your iniquity" [Ezk. 18:30]. "Say to the children of my people, Though your sins reach from earth to heaven, and though they be redder than scarlet, and blacker than sack-cloth, yet if you turn to me with your whole heart, and say, Father! I will listen to you, as to a holy people." [Isa. 1:18]. And in another place He speaks thus: "Wash you and become clean; put away the wickedness of your souls from before my eyes; cease from your evil ways, and learn to do well; seek out judgment, deliver the oppressed, judge the fatherless, and see that justice is done to the widow; and come, and let us reason together. He declares, Though your sins be like crimson, I will make them white as snow; though they be like scarlet, I will whiten them like wool. And if you be willing and obey me, you shall eat the good of the land; but if you refuse, and will not hearken unto me, the sword shall devour you, for the mouth of the Lord has spoken these things." [Isa. 1:16-20]." Desiring, therefore, that all His beloved should be partakers of repentance, He has, by His almighty will, established [these declarations]. This is normative for most of Clement's epistle, as it is for many other of the Fathers. The point is that the Fathers quoted very generously from the Old Testament, presuming that it had a permanent validity and that Old Testament passages were immediately relevant to the lives of New Testament Christians. Furthermore, they presumed, by their abundant citations, that all Christians implicitly understood this. This means that we, too, should realize and appropriate this truth. Pope St. Clement would be puzzled if the Christians of Corinth were to respond by complaining that so many of his citations came from the Old Testament. Having thus laid the groundwork, we will shortly take up the questions raised above, beginning with the question of the degree to which Old Testament "principles" are applicable today. Lent is upon us, with all of the obligations and calls to penitence and spiritual growth that go with it. One common Lenten practice is more intensive spiritual reading or study of the faith; why not fulfill part of this duty by reading some of the great articles and resources brought to you this winter by Unam Sanctam Catholicam? Some of you may be giving up Internet and blogging for Lent; I commend you for this! 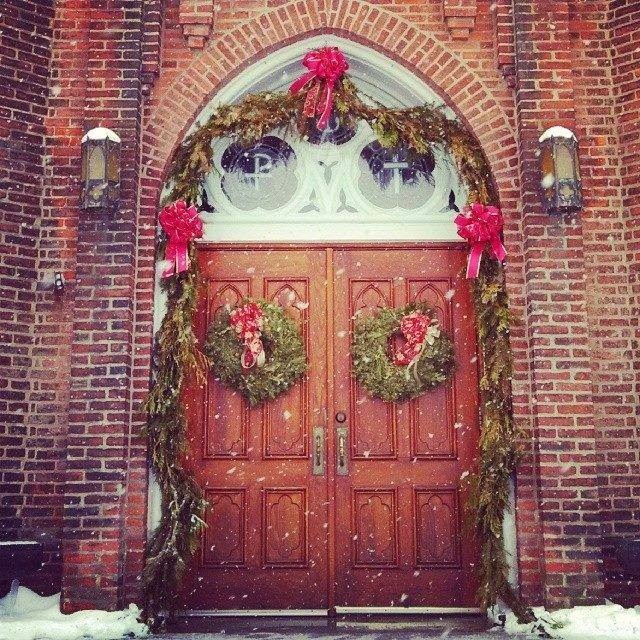 But for those of you who aren't, may I humbly suggest the USC website's series of winter posts? This series of posts is also notable for the availability of two great resources. Shortly after the new year we made freely available an excellent 11 page instruction on Gregorian notation, courtesy of the Parish Book of Chant, which allows free copying and distribution to facilitate the broader use of Gregorian Chant. Then in late January a seminarian made us aware of the previously published but not widely circulated work of Fr. Joseph Komonchak of Marquette University who had translated five of the original nine schemas of Ottaviani's Preparatory Commission. These translations reveal the sorts of documents originally envisioned by the Roman Curia prior to the rebellion of the German-speaking bishops and the subsequent rejection of the original schemas. The differences between the original schemas and the documents we ended up getting are striking. We also began offering two wonderful new books. Hermits and Anchorites of England is a new edition of the classic 1914 work by Rotha Mary Clay on the eremitic life of medieval England. Containing over 50 illustrations and a new introduction, this work is an invaluable resource for those interested in medieval spirituality. It is a very high quality edition, not a generic OCR reprint. The Gospel Illustrated by Duccio, by John Joy, a long time friend of USC whose other books on papal infallibility and penal substitution already grace the USC bookstore. The Gospel Illustrated by Duccio is a unique creation designed to celebrate one of the greatest artistic masterpieces of the high medieval period while also bringing to life the Gospel story with over fifty images of scenes from the lives of Jesus Christ and the Blessed Virgin Mary. It is a very welcome alternative to the banal wilderness of "children's bibles." The book includes the complete extant cycle of images from the Maesta Altarpiece, which Duccio di Buoninsegna completed in 1311 for the Cathedral of Siena, Italy. Introduce children to the Gospel through classical Christian art - what a concept! Though it is not new, I would also like to remind readers of our article from Lent, 2013 on the Art of Fasting, delving into the purpose and methods of efficacious fasting, according to St. Robert Bellarmine. The article, The Spirit of Lent, is also recommended to remind us of the proper dispositions we ought to have as we proceed through Lent. Religion and Culture in Frankish Syria: Unique as a Latin outpost in a Muslim east with an orthodox Christian minority, the religious culture of Frankish Syria was an eclectic mixture of contradictions: zeal and laxity, politics and religion, the highest moral ideals and the loosest of moral standards - a religious culture that was neither European, nor Eastern. 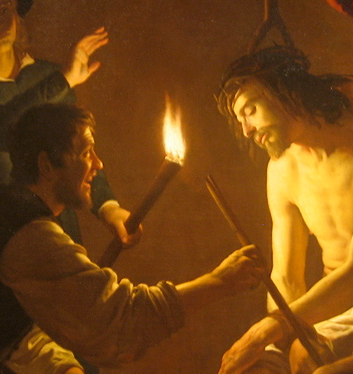 Christ Dying at Every Mass: Whether through malice or ignorance, many Protestants mistakenly assume that Catholics believe Christ is actually put to death at every Mass. This is neither true theologically nor historically. Our Lady's Knowledge: Following Pope Francis' comments in his homily on December 20, 2013 that the Blessed Virgin Mary may have felt "cheated", deceived or weakened in faith when confronted with her Son's crucifixion, there has been a lively interest in the topic of our Blessed Lady's knowledge. What exactly did she know about her Son's mission, and when did she know it? This is an interesting question, one in which we can easily fall into extremes. As always, it is best to begin with Tradition. Why Do We Bless Our Meals? To thank God, obviously...but did you know the simple table blessings are also meant to be minor exorcisms? This story of the possessed lettuce will make you approach meal time with a whole new appreciation for table blessings. Collegiality: The Church's Pandora's Box: Learn the history behind the most controversial teaching of Vatican II and see why the doctrine of collegiality was fiercely contested by many Council Fathers. Standing around the altar during consecration? While most readers of this blog do not go to parishes where this is a problem, it is good to know the particular legal and liturgical rationale for why this practice is not in keeping with the spirit of the liturgy and is in fact a grievous abuse. Philosophies of Nature: Catholics have always argued that that virtue is to simply act in accord with human nature; proponents of immorality and homosexual so-called marriage also argue from acting in accord with nature. How are the secularist and Catholic concepts of "acting in accord with nature" fundamentally different? Truth About the Kyrie: Repost of an old article from Athanasius Contra Mundum; the Kyrie does have its origin in Greek, but it is not because the Roman liturgy used to be in Greek. In fact, it was not introduced into the Roman liturgy until the 6th century. Meletius and St. Peter of Alexandria: A lesson from the Great Persecution about being in union with the Church and how much this really matters. Grandchildren for God: A primer on the theological rationale behind the Catholic practice of infant baptism (Note: This article deals only with theological, not historical considerations). One last thing; in January, we announced two new contributors to the USC blog and website. This means content is going to be going up with greater frequency, both on the blog and site. Please follow us on Facebook or consider subscribing to this blog in order not to miss anything. "It is written, Not in bread alone doth man live, but in every word that proceedeth from the mouth of God." In anticipation of Ash Wednesday tomorrow and mindful that some of our regular readers may be fasting from the internet this Lent we would like to provide you with some various resources so that as you abstain from many things you can replace them and nourish your spirit with nectar from the Fathers of Church, find refreshment in a Christian Classics and be given strength by devout preaching. The Church Fathers where truly holy, wise and perfect men, who fighting bravely trampled the world underfoot, fed their flocks in a world of hunger, and defended the Church against the attacks of heretical wolves through their faithfulness to apostolic tradition. 46 Homilies total from Ash Wednesday all the Way to Holy Saturday cover various topics from True Repentance, Alms giving, Fasting to explanations of the Gospels are selected from various Fathers including : St. Augustine, St Chrysostom, St. Cyril, St. Cyprian and more! Be sure to signup for the mailing list so you can be notified when the next homilies are ready! 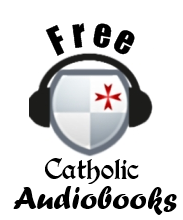 In my opinion this is the best narration of this Catholic Classic I have ever heard. 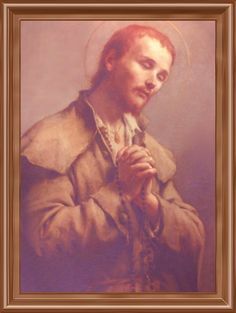 The Imitation of Christ has had a massive influence on the Saints of the Church, St Therese at the end of her life only read from two books: The Bible and the Imitation of Christ, St Charbel started reading the Imitation of Christ as a child, and St Ignatius of Loyola drew much of the inspiration for his conferences from it. Drawing heavily upon Pope Benedict XIV treaties on the Beatification and Canonization of the Servants of God, Fr. Ignatius provides a clear distinction between normal virtue and heroic virtue. Listening to these conferences are a great way to perhaps identify areas in our spiritual life that need improvement and to see how far we are from the perfection of the Saints. May God grant you a Holy Lent!